Chinese manufacture Huawei has become a dominant player in the global Android phone market but has struggled to gain traction here in the United States. That has changed a little bit with the launch of the Huawei built Nexus 6P and the company is looking to capitalize on that success. 2016 the company is planning on making a significant push into the US market and it will be lead by their new 6″ phablet device, the Mate 8. 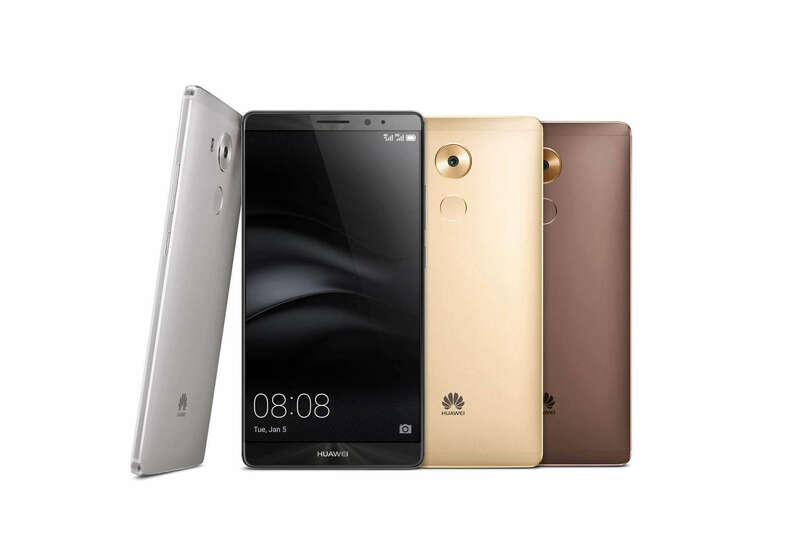 The Mate 8 was announced last month in China but yesterday at CES 2016 it was announced it was going global. It mighty impressive specs that make it a true flagship device for the company. While it won’t launch immediately here in the US – it will be in Europe, South America and Asia first before it hits the US and UK – it will be here by the end of the 1st quarter. To start, it has a 6″ Full HD 1080p display, is powered by the Huawei Kirin 950 Octa-Core processor running at 2.3Ghz and has an ARM Cortex A72 co-processor running at 1.5Ghz. It will come in two variants as far as RAM and storage are concerned. The base model will come with 3GB or RAM and 32GB of storage while the upper end will have 4GB of RAM and 64GB of Storage. Interestingly, the upper end model will also support dual SIMs while the base model will be single SIM. slow motion video at 120 fps. Powering all this is a mighty 4000 mAh battery that Huawei says average users will get over two days of power from while heavy users will get a day and a bit. If that is true, that is very impressive and shows they have really done a lot of work in optimizing their package and software to give users the maximum battery benefit. From an OS perspective, the Mate 8 will be running Huawei’s EMUI which is based on Android Marshmallow. As far as pricing is concerned, the 32GB model will start in Europe at €599 while the 64GB model will be €699. No pricing was announced for the US market but you can draw your own conclusions from the Euro prices. This is a flagship device so expect to pay a premium.